The Infiniti QX50 Concept introduced at the North American International Auto Show a few weeks ago is simply stunning. The Infiniti QX50 Concept introduced at the North American International Auto Show a few weeks ago is simply stunning. We just wanted to get that out of the way right off the bat. Better yet, Infiniti may be calling it a concept but most experts agree that its design is too far off from being production-ready. Its bold and muscular lines are certainly modern, but the proportions and features found on the new QX50’s body are realistic and could therefore make their way onto the market without too many adjustments. 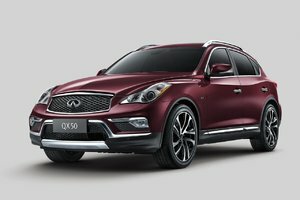 The Infiniti QX50 Concept represents Infiniti’s vision of a next-generation midsize premium sport utility vehicle. It’s a representation of where Infiniti believes the segment is headed, and as such features plenty of advanced features such as autonomous driving capability. Now, keeping with the Japanese automaker’s focus on driver engagement, these new technologies are built around the idea that the driver must remain in control of the vehicle. That said, certain aspects of the commute can be delegated to the car in order to improve the overall driving experience and reduce stress. 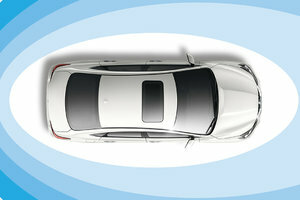 Features such as navigating stop-start traffic on the highway or getting out of the way of another vehicle that suddenly cuts into your lane, without driver involvement, are some of the features and capabilities we may see on the next generation of Infiniti models, starting with the QX50. 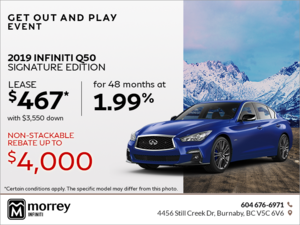 Last year, Infiniti made headlines by introducing the first-ever variable compression turbocharged engine. Offering a 27-percent gain in fuel efficiency compared to similar V6 engines, the VC-T unit can vary the compression ratio on the fly in order to optimize performance or fuel economy depending on the needs of the driver. The 2.0-liter four-cylinder VC-T engine would fit perfectly in the QX50 and offer drivers as much power as they could ever need with the added bonus of car-like fuel economy. All-new, the Infiniti QX50 Concept should lead to a production-ready new-generation QX50 which will be unveiled in the next few months. Infiniti also confirmed at the North American International Auto Show that production would being sometime this year, but the Japanese automaker did not say when exactly. 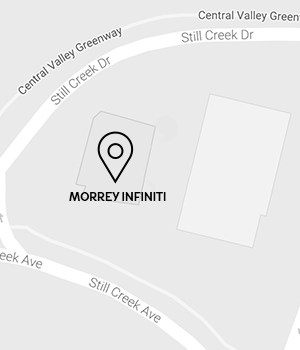 In the meantime, come in today to Morrey Infiniti to learn more about Infiniti’s exciting lineup of all-new 2017 luxury cars and sport utility vehicles.